Once again, I’m behind in promoting the latest issue of Brethren in Christ History and Life. 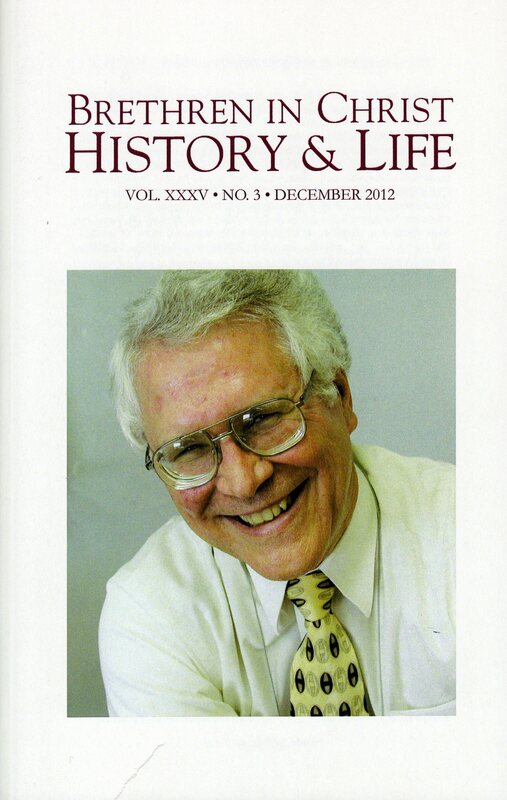 The December 2012 edition celebrates the life and legacy of Luke L. Keefer, Jr., a long-time theologian, church historian, and denominational leader in the Brethren in Christ Church. As Luke’s biographer, I’m grateful that the contributors to this issue agreed to provide such thoughtful reflections on this scholar’s work among us; as one of many aspiring leaders mentored by Luke, I’m thrilled to see someone I admired remembered in this way. Readers: What are your favorite articles in this most recent issue of the journal, and why?